Class Preliminaries. Monday 09/09/2013: Slides [PDF]. Lecture 1: Monday 09/09/2013. Introduction to visual pattern recognition. Slides. Notes. Lecture 2: Monday 09/16/2013. Why is vision difficult? Natural image statistics and the retina. Slides. Notes. Discussion: Reading Assignment 1. Lecture 3: Monday 09/23/2013. Primary visual cortex. Slides. Notes. Discussion: Reading Assignment 2. Lecture 13: Monday 12/09/2013. 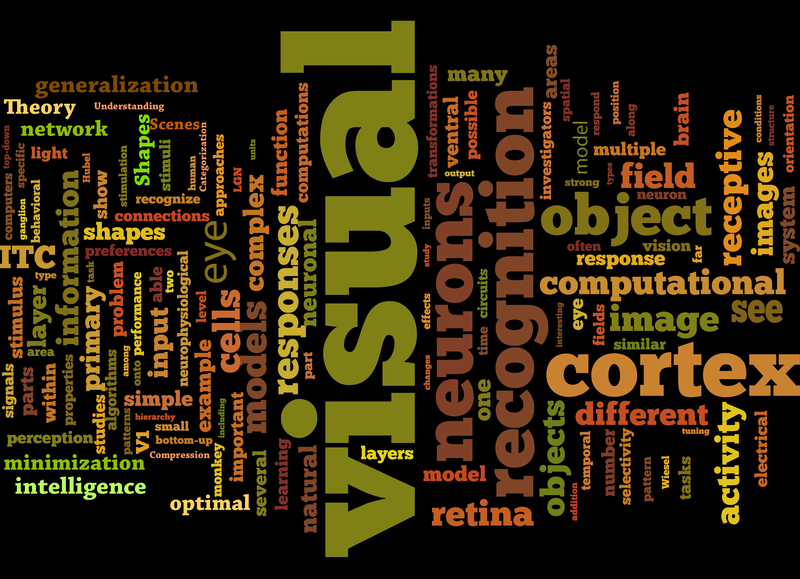 Neural correlates of visual consciousness. Slides. Notes.